For the latest course dates please contact me at reflexcelcourses@gmail.com or phone 0435 990036. I hold courses in all States of Australia and in New Zealand. In this 2 day workshop you will learn how the Danes use Oriental energy systems to enhance their reflexology practice. This is NOT an acupressure course – the focus will be on the subtle application of the Five Element energy system and the Meridians. Perhaps you have studied TCM before but find it overwhelming or difficult to apply. Perhaps you have always wanted to understand Chinese medicine concepts. Analyse your clients’ health issues from a TCM perspective. Use Meridian brushing and massage techniques to encourage energy flow. 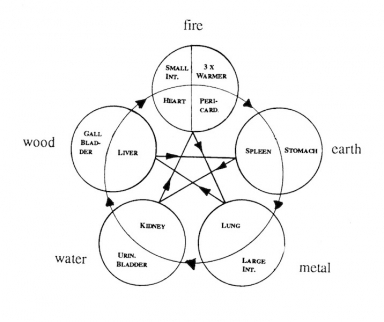 Understand the 24 hour clock and apply knowledge of the 5 Elements to you treatments. Apply linking techniques via the Five Element cycle. Use a totally NEW Five Element 50 minute treatment via the foot reflexes.